Optical character recognition (OCR) is assistive technology that speeds the input of text into a computer for editing. OCR first requires that a page be scanned to a digital image and then processed via software to identify and record the text it contains. Some people might shy away from OCR because of the expense of OCR software. The following free OCR software options are available that can help everyone with a scanner find a way to make OCR a part of their life. SimpleOCR is a popular free OCR software package that allows users to convert text in scanned images into editable text. Before you install SimpleOCR, you will probably want to know that the SimpleOCR Web site specifically states that the program cannot process multiple text columns properly. 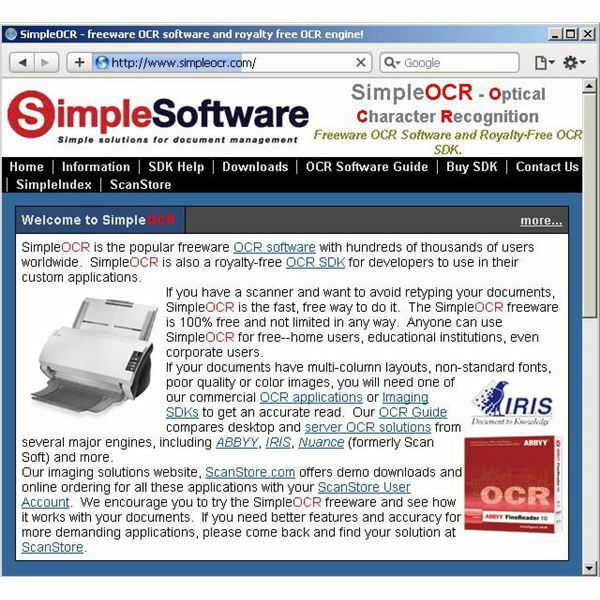 The Simple Software Web site has a convenient OCR software guide for users whose needs aren’t met by SimpleOCR that can help them find a suitable commercial alternative. SimpleOCR also consists of a free software development kit that allows programmers to connect to its OCR services through custom applications. 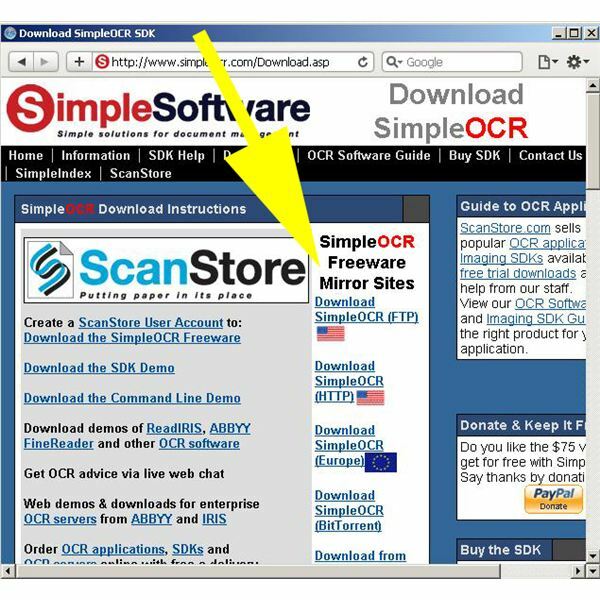 Downloading SimpleOCR can be tricky because the download page seems to want users to create a "Scan Store" account to manage scanning software demo packages in the left hand column. The actual SimpleOCR download is in a white center column as seen in the image below. 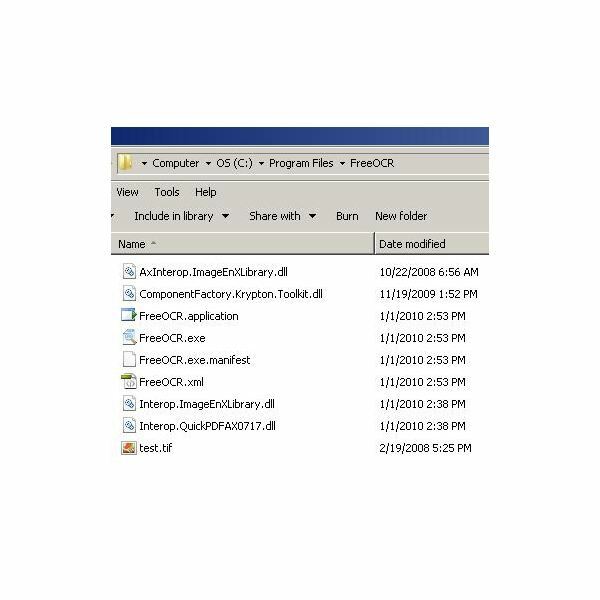 FreeOCR uses Windows Installer to setup up scanning and OCR software on your computer. Its OCR engine is based on the Tesseract engine that is maintained by Google. It recognizes most image types as well as PDFs. Installing FreeOCR is fairly straightforward. Just double click on the downloaded file and follow the prompts. Depending on your version of Windows, however, you may not find a new program cluster in your start menu for Free OCR. If you can’t find it, you can browse to it through "Computer" as shown in the image below. Just double click on "FreeOCR.exe" and you’re on your way. The process is simple (unless the software doesn’t recognize your scanner). Just click the "Scan" button, select your scanner, wait for your document to scan and then click the "OCR" button. In a test scan, Free OCR worked fairly well, although it did not preserve any of the formatting of the scanned document as shown below. WeOCR is Web enabled OCR platform that allows users to upload scanned images and receive back OCR text. The WeOCR platform does not include its own OCR engine, but is regarded as an interface for existing engines. 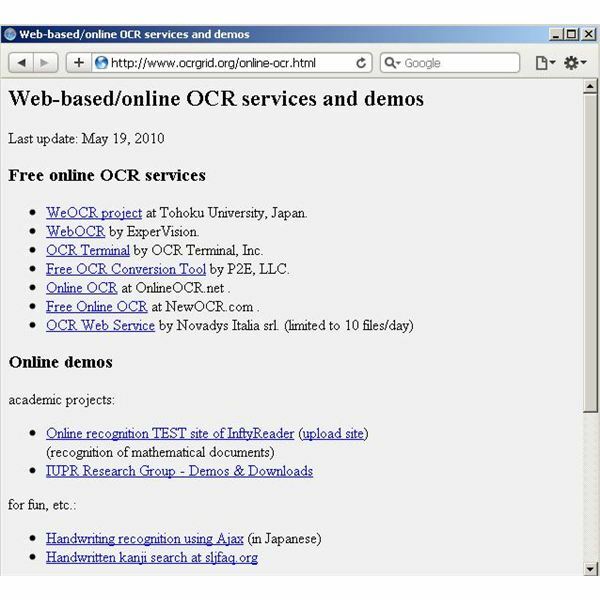 This free OCR software solution is intended for deployment on a Web server, so unless you are a Web developer, WeOCR on its own may not be very helpful for the average computer user. Although the actual WeOCR download may not be useful to every computer user, WeOCR-based services are available for free via several Web sites listed on the WeOCR project page. 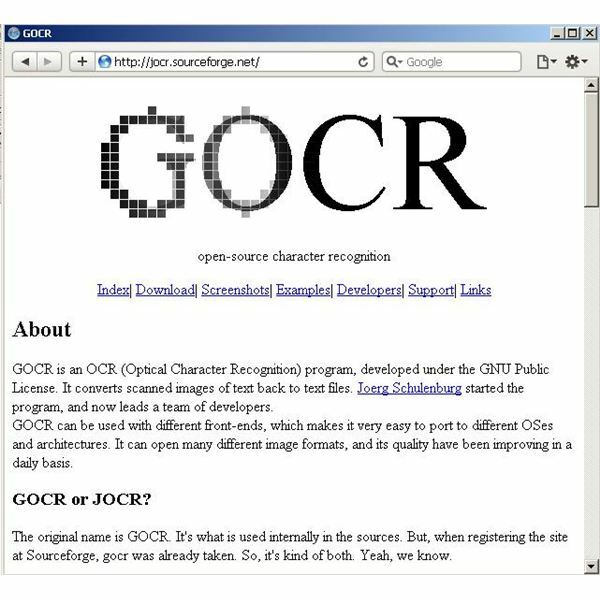 If you need to process some files through OCR, go ahead and try some of these WeOCR sites out. 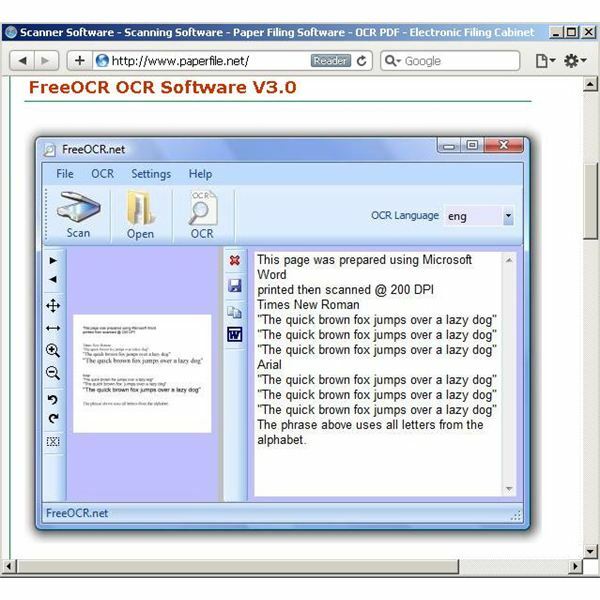 GOCR is free OCR software that processes scanned images for text recognition. The program is downloadable for Linux, Windows, or OS/2. For developers, the source code of GOCR is available so that custom integrations can be created. Notes on the COGR Web site suggest that the program is not in active development, although it does appear to be updated about once a year.